When the deck is spread face-down onto the table, the three face-up cards are removed along with the face down cards that are next to them . The three face-down cards are turned face-up to reveal they are Aces. Finally the final Ace is found with a number than is counted to, again, that the spectator chooses! When the spectator counts down to that number in the deck, the missing Ace is located! The magician reminds the spectators that 13 worked with certain cards and it is obvious that the certain cards are aces. 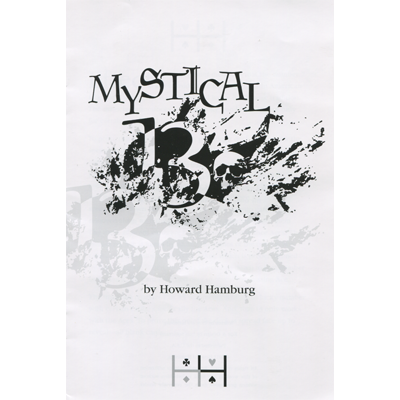 The magician states that 13 does not work with any other cards of the deck and to prove this point the deck is ribbon spread facer up to reveal every card is blank!